Frank Clowney has spent almost thirty years putting his problem solving skills to use helping others who are in distress because of either employment problems or an injury. Mr. Clowney provides his clients with both personal attention and the tools to overcome their legal concerns and go forward with their lives. This involves taking the time to educate his clients on both the law and the legal process so that they can follow along and understand their own case. He limits the number of cases that he accepts in order to maintain the highest level of personal contact with his clients. No two clients are the same. Some need a prompt resolution of their legal matter through negotiation or mediation. Others need to go to trial. 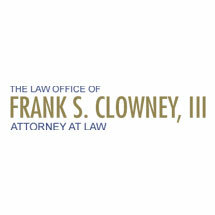 Mr. Clowney tailors his approach in handling a case to his client's particular needs. Aereas Lineas Azteca S.A. de C.V. The Access Center of San Diego, Inc.